Monu Goyat scored 12 points and got a super raid in the last minute to win the match for Haryana Steelers. Star raider Monu Goyat produced a match-winning performance to help Haryana Steelers secure a narrow 35-33 victory over Bengal Warriors in a nail-biting encounter in the inter-zonal challenge contest of Pro Kabaddi League (PKL) in New Delhi on Wednesay. 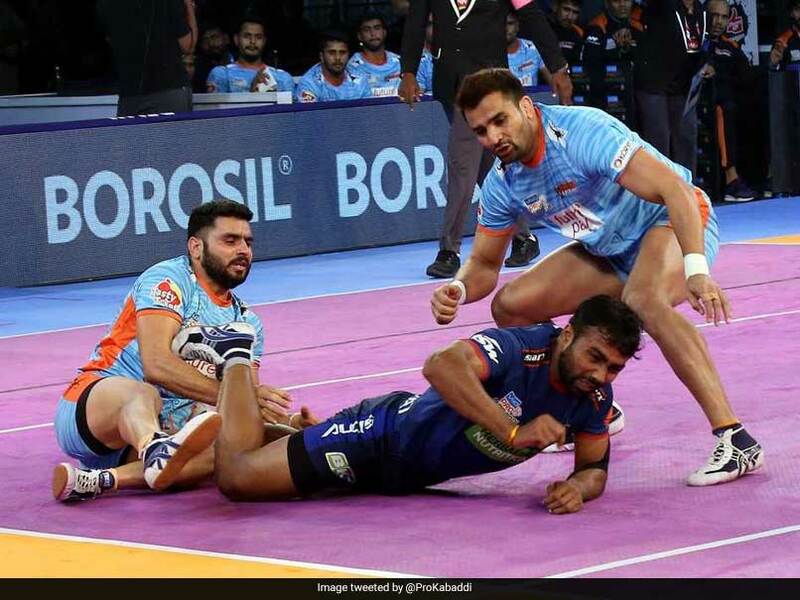 Monu scored 12 points and got a super raid in the last minute to win the match for Haryana, while his teammate Vikas Kandola chipped in with five raid points. In the other match of the day, Dabang Delhi defeated Bengaluru Bulls 32-31 to register their fourth win at home. Earlier on Wednesday, Bengal Warriors were better in the second half but lost their composure in the final five minutes. Maninder Singh scored 11 raid points for Bengal. Maninder got Bengal off the mark with a two-point raid in the first minute. Haryana took a couple of minutes to come into their own as they picked up a few tackle points to trail 3-6 after four minutes. Monu picked up a raid point in the seventh minute to level the match at 7-7. Both teams traded a couple of tackle and raid points each and were tied at 11-11 after 14 minutes of play. Haryana Steelers inflicted an all out in the 15th minute to lead 15-11 after Monu's successful raid. At the end of the first half Haryana Steelers led the contest 19-12. Bengal Warriors were the better team in the second half as they picked up six points compared to Haryana's two in the first six minutes. Just when Bengal were looking to cut down the deficit, Monu picked up a vital raid point to give Haryana 22- 18 lead after 27 minutes. 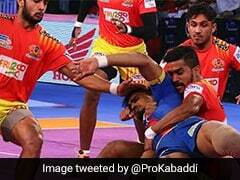 Maninder's successful raid in the 28th minute helped Bengal inflict an all out as they leveled the match at 22-22. The pendulum swung both ways in the last 10 minutes as they kept exchanging raid and tackle points. Haryana forced a super tackle in the 36th minute to level the match at 29-29. Monu's successful raid gave Haryana 32-30 lead with less than two minutes to go. Ravindra Kumawat picked up a raid point in the 40th minute as Bengal Warriors trailed 31-32. Monu made a brilliant super raid in the dying seconds of the match to clinch a thrilling win for Haryana.